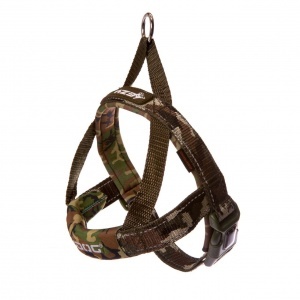 Ezy on and Ezy off! 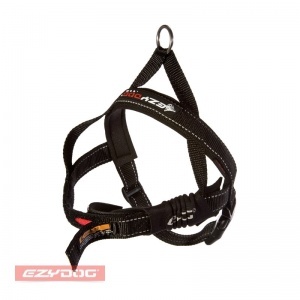 The EzyDog Quick Fit Harness can be fitted or removed in a flash - slip the harness over your dogs head and snap one buckle closed and the deed is done. 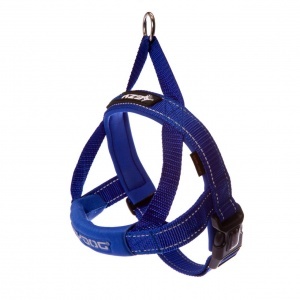 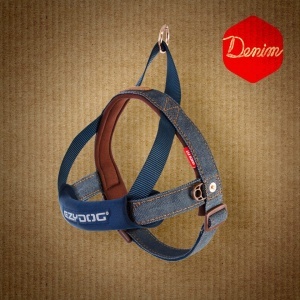 The Quick Fit features a floating D ring for leash attachment - this moves easily from side to side as the direction of pull changes whilst the harness remains stationary. 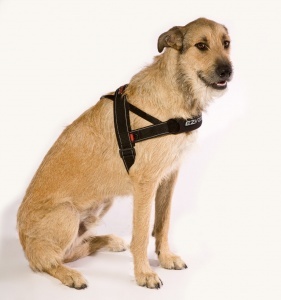 Add to this a double thickness of neoprene on the girth strap, and a large hi-vis light reflective patch across the chest for extra safety at night, and you have a truly innovative dog harness. 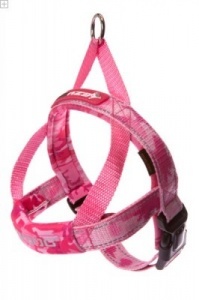 Stylish, comfortable and very durable, you and your dog are going to love the EzyDog Quick Fit harness.